Roman Stolyar was born on December 6, 1967 in Novosibirsk, Russia, in the family of engineers and received his first musical experiences at state music school. Then, being a student of Novosibirsk Institute of Electrical Engineering, he made his first steps to studying jazz - first privately, then, after his decision to leave the career of engineer, at Novosibirsk musical college where he entered in 1989. His teacher was Igor Dmitriyev, the most famous Siberian traditional jazz pianist and educator. During studying jazz at the college Roman chose the way of contemporary and free jazz enriched by elements of classical composing and folk roots. His first project - a duo together with excellent drummer Mikhail Wolfovitch - was formed in 1990 and made its first concert in Novokuznetsk on the annual Jazz Piano Festival. After Andrey Turygin, alto saxophone player, joined them, they started to perform as STS trio. Soon their group was invited to join the ALOHA project according to USSR - USA intercultural program, and they spent two weeks in Hawaii in January 1991. Soon he entered Novosibirsk State Conservatoire in September 1991 where he studied classical and contemporary composition and electronic music with Prof. Youry Yukechev, outstanding composer experienced both in classical and jazz music. After graduating from Conservatoire he continued his career as a jazz pianist playing in different collectives (including ALTER EGO, the jazz duo together with Andrey Turygin, and NEW GENERATION leaded by brilliant tenor saxophonist Vladimir Timofeyev) and, besides, he created a number of compositions in modern "classical" manner but with elements of free improvisation. His music became soon known thanks to his collaboration with Pavel Sharomov vocal ensemble that commissioned him electroacoustic Missa Apokriph, three cantatas and a large stuff of arrangements for them. He also made some works for theatres (including two musicals for children theater "Smile") and, ultimately, was invited as a principal composer to Novosibirsk Academic Theater "Globe" in September 2000. As an educator he works at the jazz department of Novosibirsk musical college where he has developed his own training course "Theoretical Foundations of Jazz Improvisation". His improvisational workshops which have taken place in numerous educational institutions of Russia have made him reputation of active propagandist of the art of music improvisation. It is why he was invited to participate in conference of International Association of Schools of Jazz in 2006 by American Councils and to make workshop for American students in California Institute of the Arts in 2007 by initiative of its Associated Dean Susan Allen. Being active in searching for new talents and fresh ideas, Roman Stolyar has created number of ensembles with participation of young talented musicians ? such as his collaboration with jazz vocalist Victoria Chekovaya and art rock duo SHANTI with singer Yelena Silantieva. The current project started by him is free improvisational trio DOTS & LINES appeared as a result of his collaboration with young improvisers from Saint Petersburg, saxophonist Ilia Belorukov and guitarist Andrey Popovskiy. As a piano improviser, Roman Stolyar has participated in many festivals and concerts of jazz, improvisation and contemporary music in Russia, Ukraine, Kazakhstan, Kyrgyzstan, Moldova, Slovenia, Bulgaria, Latvia, Poland, Denmark,UK, and USA. He has collaborated with many outstanding musicians including Sergey Letov, Vlad Makarov, Vladimir Chekasin, Second Approach Trio (Russia)(Russia), Anatoly Vapirov (Bulgaria), Youry Kuznetsov (Ukraine), Carl Bergstroem-Nielsen (Denmark), Anar Tagi-zade (Azerbaijan), Hans Schuettler, Heinz-Erich Goedecke, Ge-Suk Yeo (Germany), Latif Bolat (Turkey), Susan Allen, Tanya Kalmanovitch, Vinny Golia, Blaise Siwula, Tanya Kalmanovitch (USA), free jazz groups Kieloor Entartet and Day & Taxi (Switzerland), Tomazs Ondruszek, Duo Havlovi (Czech Republic), folk band Lot Lorien (Bulgaria), jazz group Cohen family (Israel), Martin Kuchen trio (Sweden) and others. He has released CDs under the labels of Ermatell Records (Novosibirsk), Electroshock Records (Moscow) , Ayler Records (Sweden), and Intuitive Records (Denmark). Since 1992 Roman Stolyar cooperates with annual Summer School of Contemporary Dance as an accompanist in class of modern dance. He has collaborated with numerous modern dance teachers & choreographers such as Nelson Fernandes, Christin Carter, Marina Collard (UK), Colin Connor (USA), Randall Scott (Holland), Torbjorn Sternberg (Sweden) and others. 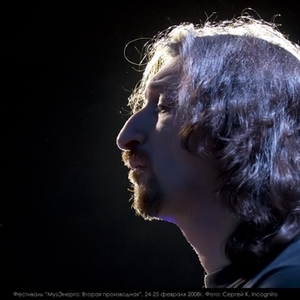 Roman Stolyar is a member of Russian Composers' Union and International Association of Schools of Jazz, and member of Board of Advisors of International Society for Improvising Music.